We kicked off February in style with a trip of a lifetime to Finland! This is a holiday we had been mentally planning for over 5 years so it felt amazing and somewhat unbelievable to finally be doing it. We split our stay between Lapland and Helsinki and this was a perfect combination of snowy activities and Northern Lights hunting in the North, along with a culture fix and some city exploring in the South. 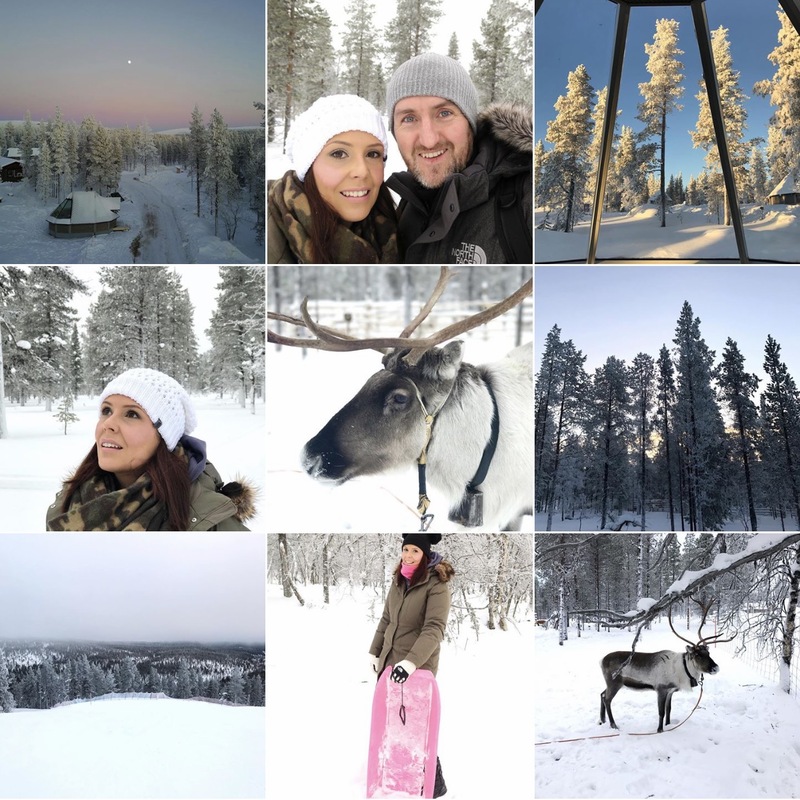 You can read all about our Lapland adventure here or watch my vlog! Valentines Day was a bit of a non event this year as we had only just got back from Finland so we didn't fancy doing a great deal but Andy surprised me with a gorgeous bunch of roses and we popped out for a little lunch at one of our favourite tea rooms Rosey Leas in Bishop's Stortford. I also received some happy mail from Tropic in the form of their Body Love firming cream which I am really looking forward to using in the lead up to my Summer holiday this year. I also couldn't resist taking a snap of my lovely boy Zen with his Valentine Queenie! They looked so cute together! Lapland sadly wasn't amazing for vegan food but Helsinki was and we got to try a number of different eateries whilst we were there. I am just in the process of putting together my vegan Helsinki guide but for now here's a photo of my favourite meal whilst in Finland at the buffet restaurant Silvoplee in Helsinki. It's pancake day when this post goes live so I have spent some time this month mastering my vegan pancakes and this year I mixed things up a bit by adding chocolate chips to the mixture. Check out the full recipe here! One of my favourite eating out experiences this month was at Cradle, a new vegan cafe in Sudbury Suffolk. The food was mind blowing! We spent one Saturday in Brentwood this month and it gave us the chance to try out a couple of vegan options at The Health Garden. Although it's not a solely vegan cafe they do have plenty of vegan options on their menu and I can definitely recommend the burrito and protein pancakes! I also popped over to a new health shop in Braintree, The Natural Way, where I picked up a couple tins of Suma's baked beans with sausages. They had plenty of vegan products in store which was great to discover as I now have somewhere local to pick up my favourite Vego bars amongst other things! These beans and sausages were actually way nicer than I thought they would be and worked as a perfectly for a Sunday brunch at home. A main purchase this month was some new headphones which i've needed for so long now. I decided on these rose gold wireless ones by a brand called Satechi because they were way more affordable than a pair of Beats and they also match my MacBook perfectly. They're also made from faux leather making them a great vegan friendly option. They work amazingly well and I like that you have the option to use them with or without the wire. I didn't buy a huge amount whilst in Finland as I found everything eye wateringly expensive but I did pick up this cute Moomin enamel mug and some lovely Finnish design postcards which I am considering framing because they're too nice to use. I loved exploring the Design District in Helsinki and I really wanted to to pick up something for our home that would remind us of our trip to Finland. As soon as I saw this beautiful bear plate I fell in love with it! I couldn't resist a little visit to Homesense this month and I was pleased to find that they already have a lot of Easter stock in store. I wanted to make an Easter centre piece for my dining table so I picked up a few little wooden eggs, a big ceramic pink egg and this gorgeous ceramic gold bunny! It already feels like Spring is in the air which seems far more early than usual for this time of year but I have to say that it's a welcomed change. I'm looking forward to slightly warmer and brighter days in March and a chance to get outdoors more. We have a small trip over to Copenhagen planned in the middle of the month which I am so excited for! 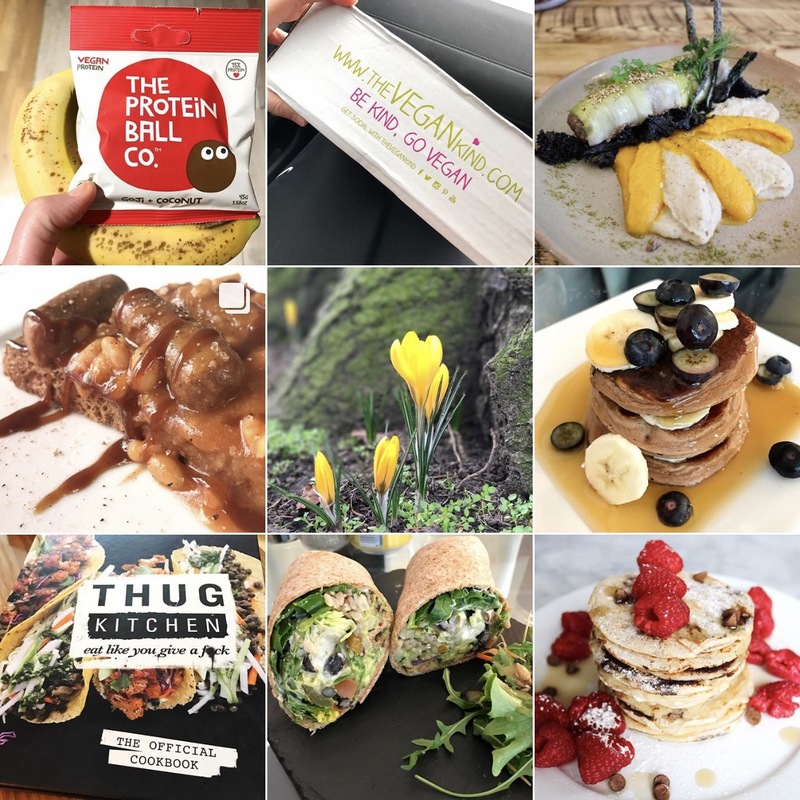 I have a substantial list of vegan eateries to visit whilst we're there and thankfully it does seem like a very vegan friendly city. Aside from that it'll be upping our exercise regime to more frequent workouts and I am hoping to get more balance in my diet by learning about macros. Thanks again to everyone who entered my blog anniversary giveaway this month! The response was amazing and I was blown away by all of the amazing prizes that were donated. The winners have been chosen and notified and are now enjoying all of their goodies. How was February for you!? February was pretty up in the air for me, lots of big decisions followed by frantic planning and organising! 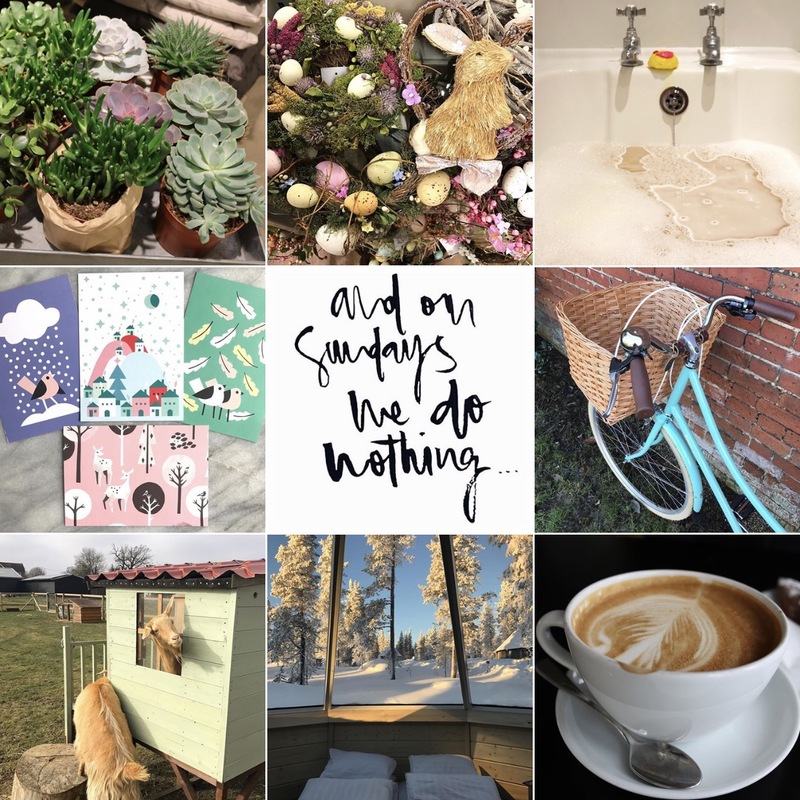 I'm excited that spring is in the air already though & I'm glad you had a great February - I love the bear plate you picked up in Helsinki and I'm excited to read your post about Cradle.